Here it is! 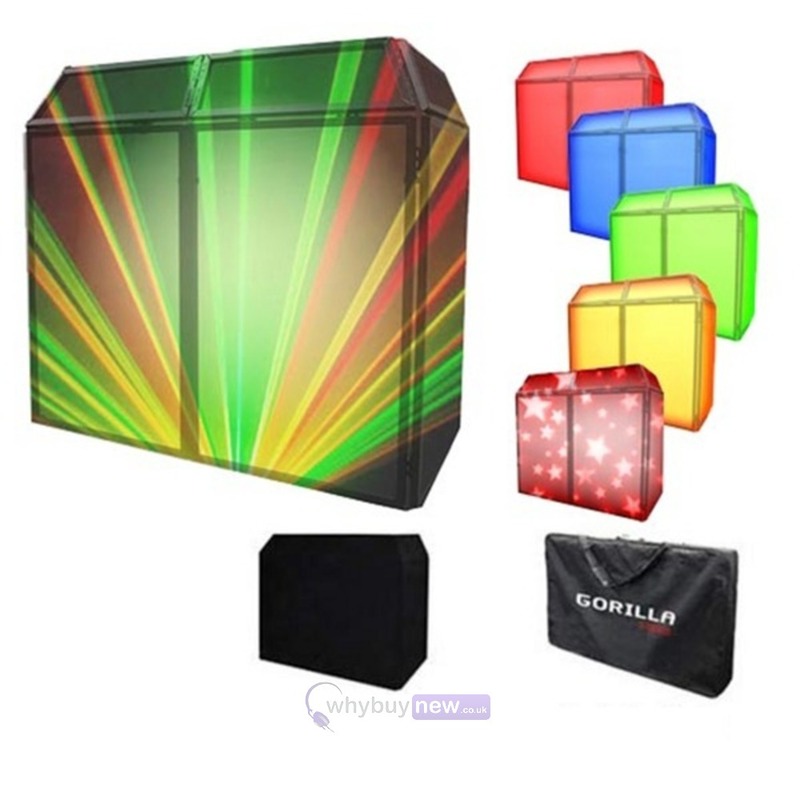 The best selling Gorilla DBS PRO DJ Booth system that comes complete with not only the white lycra cloth scrim, but also a free black one too!! 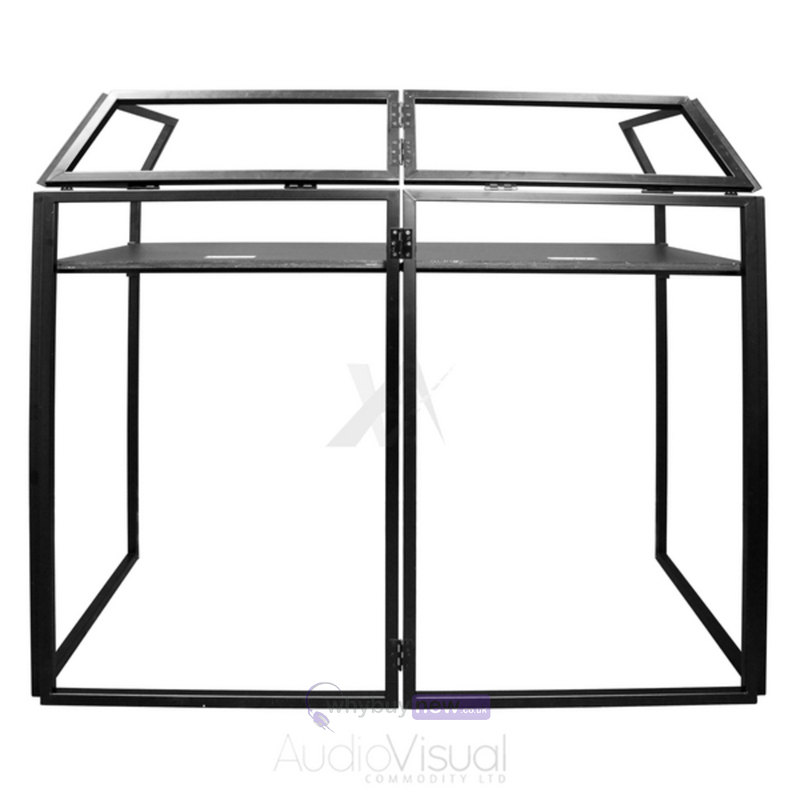 This complete pro DJ Booth is the one to have if you are looking to give your mobile disco the edge on your competitors with it's unique style and stunning looks and includes a lifetime warranty*! 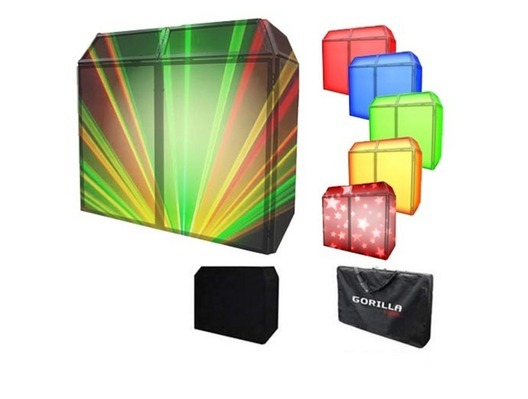 This Gorilla DJ Booth system comes with a fitted white lycra cover which can be lit up from the back with a variety of different effects to create a one-of-a-kind setup and a unique focal point for your setup. Other features of this innovative stand system include integral support for the equipment shelf which comes in two sections for portability. 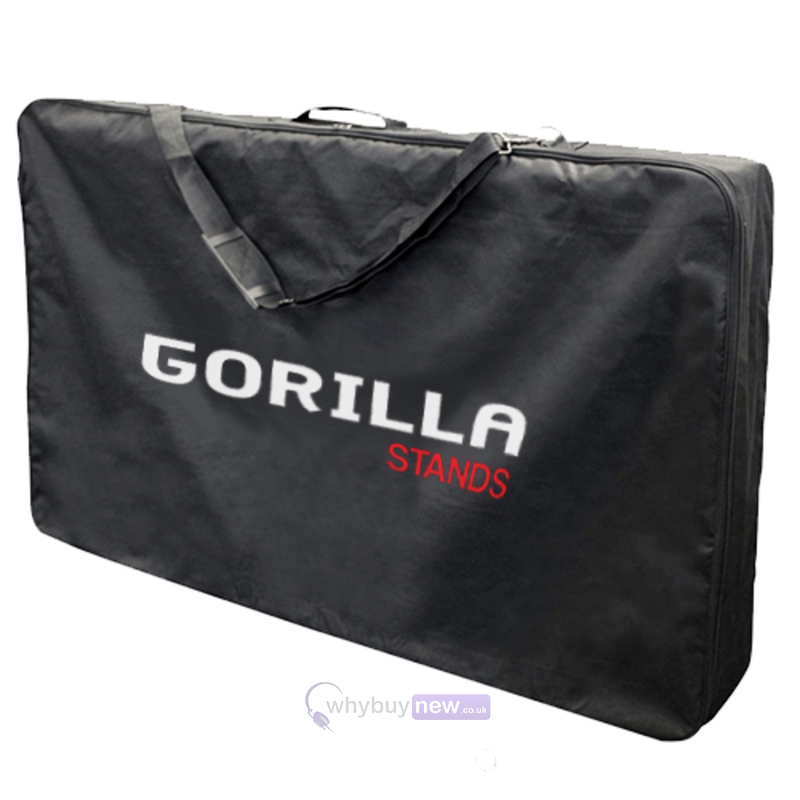 A free carry bag is also included for easy transportation of the Gorilla DJ Booth System to-and-from gigs. Any DJ will tell you that every gig is different and it is important to adapt to your environment. 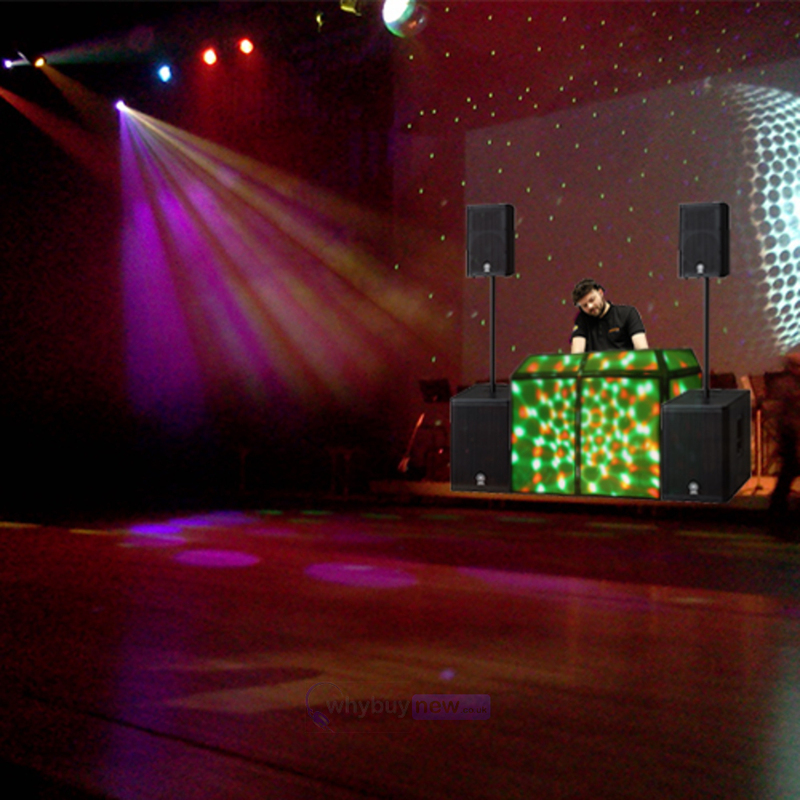 Luckily, the Gorilla DJ booth system is as versatile as you are and can be adapted to suit any event. The included white covering can be back-lit with LED cans or bars for subtle, solid colours, with single or multiple effects for a dynamic, eye-catching display or why not experiment with lasers, projection or other effects for a totally unique, high-impact appearance. In addition, an optional full overhead lighting bar kit is also available. 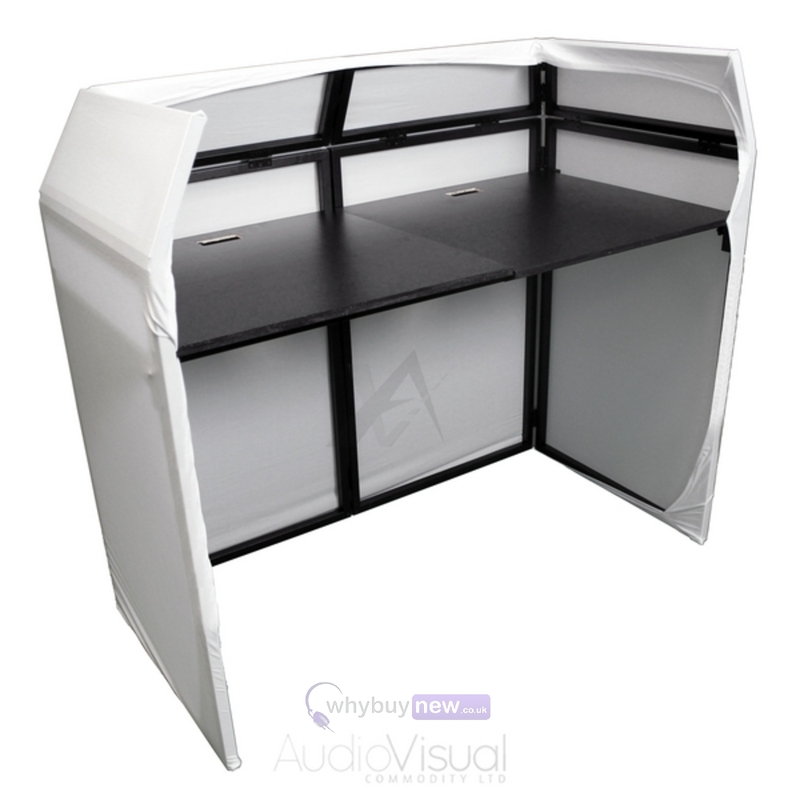 System includes: 4 sided folding DJ booth, shelf support cross bars, 2 piece shelf, carry bag, black and white lycra cover. Received my new stand today less than 24 hours after ordering. Very easy to setup and nice and sturdy once unfolded. Good quality and a nice bag to pack it all into too! Good design. It’s quite big as well. Loads of space to put decks and a mixer on . Shelves are slightly thin So me personally will place an extra piece of wood under .. for the price you can’t complain. The stand it’s self is sturdy. I ordered a DJ booth on Monday and it was here the next day, super fast! I got it to keep smelly people away from my gear! It's worked a treat! No more do I have dribbles from the unwashed public, even tho there was a manufacturing default on one of the covers, it was easily solved and the replacement came the next day. And it also works with ugly and stupid people as well, as they get Confused and walk away if you pop down out of site behind the booth! Very happy with my new booth, so quick to put together and looks the business. I managed to attach my chauvet motion cloth to it combined with the black cloth, so pleased! Perfect for all occasions! It's Perfect...with RGB ligth is amazing ...Best Price And Best Buyer...thx. Very quick and simple to set up. Lycra cloths are very effective. 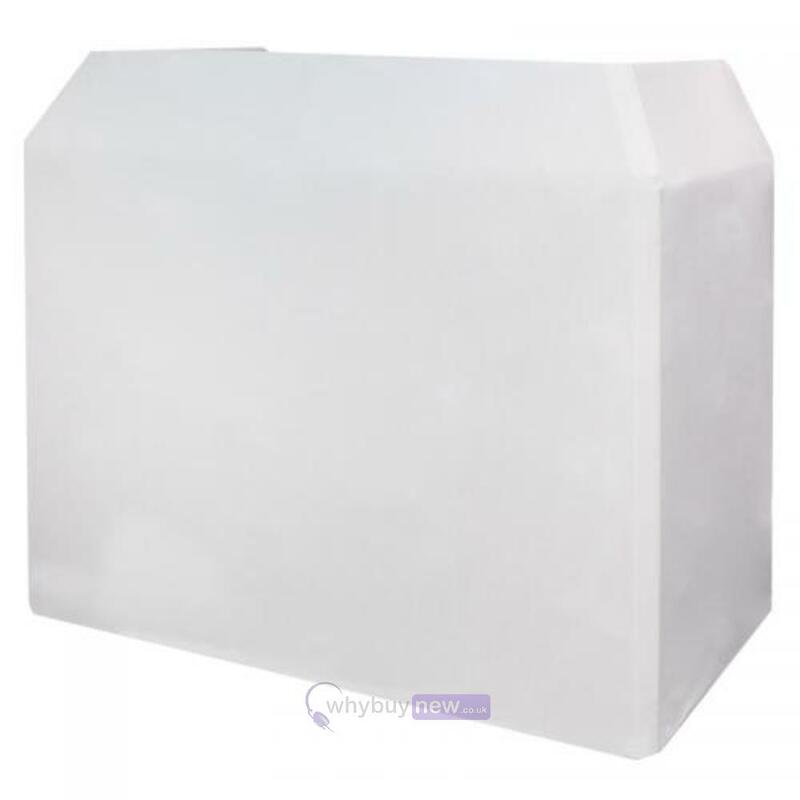 Looks very professional and is a nice height to keep your equipment safe from people with drinks or wandering hands. I'm not sure what the maximum load is but it took my flight case with S4 and laptop etc no problem. There is slight springiness at the centre of the support bars which brace the two sides together (possible caused where each brace is in two interlocking parts). This might only be a problem if using vinyl TTs without flight cases and intend to do scratching and juggling. The bag allows you to get everything inside and I also put in my T-bars for my light tripods. All in all, very pleased with this purchase. 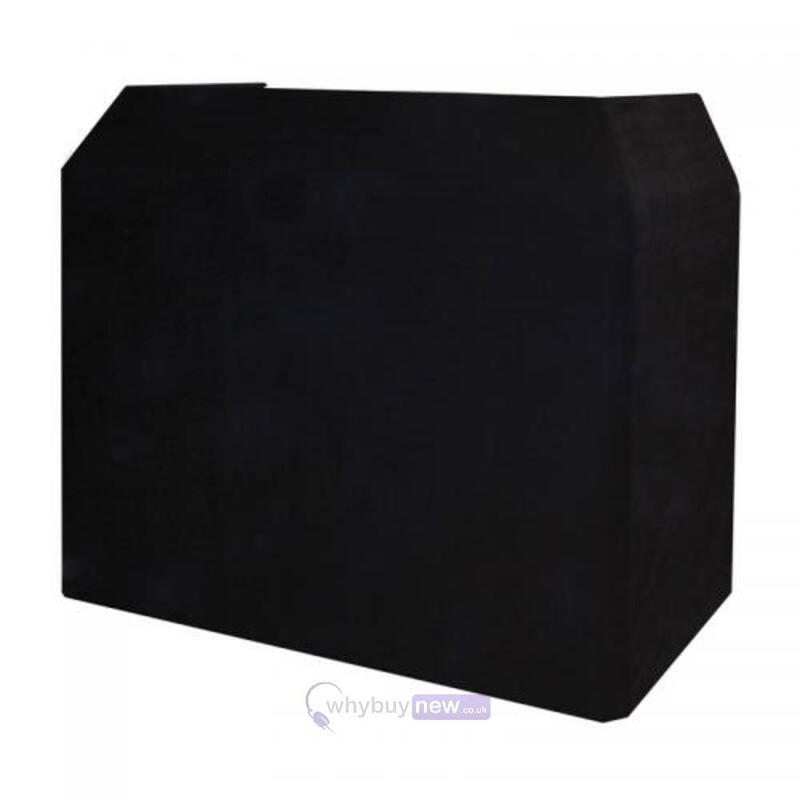 Rock solid booth, ideal for on the move DJ's. Don't spend a fortune on any fancy lights behind the white lycra, anything will do as it looks awesome anyway. Highly recommended purchase. Takes a whole 45 seconds to set up... 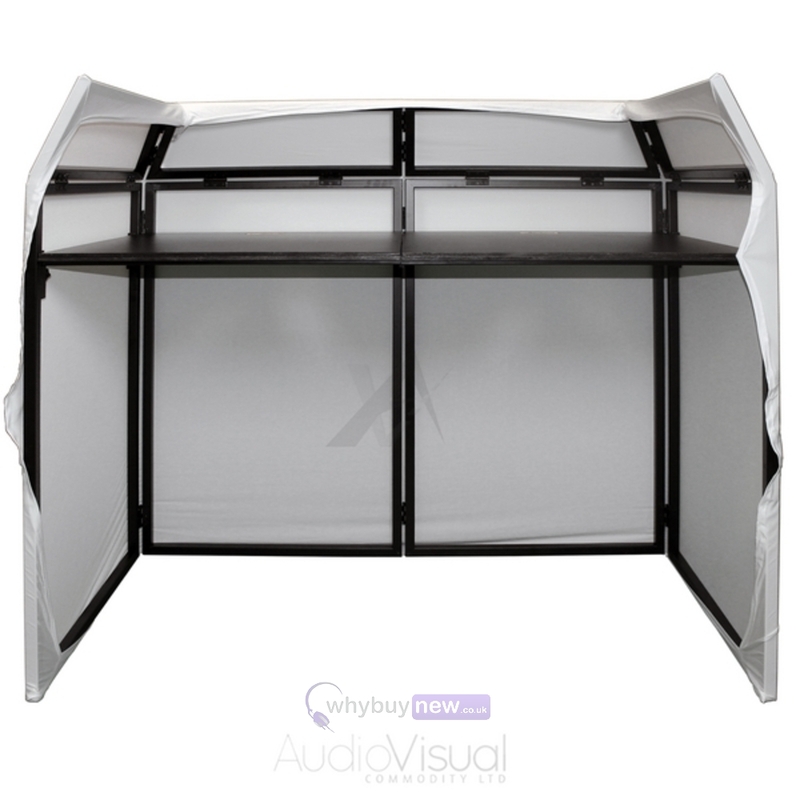 Extremely lightweight, sturdy and perfect for the mobile DJ. Looks professional and great to keep your work area tidy with holes in the shelves for cables. Ideal and perfect for every party DJ occasions!! Highly Recommended! !